The Auto Expo 2018, saw Kia Motors make its debut into the Indian market. And what a debut it was, as the company showcased its entire range of cars, some of which will be launched in the country soon. While we know which ones the company is considering for India, the big bombshell was the India-only concept that was showcased at the Expo - the SP Concept. The SP Concept made its world premiere at the Auto Expo 2018 and this just goes to show how serious the company is about the Indian market. In fact the concept even took home the award for the best in show at the CNB Auto Expo Awards For Excellence Kia has already announced its intentions to make a production version of the SP-Concept and this will see it enter the very competitive SUV segment in India which is why we want to tell you more about it. 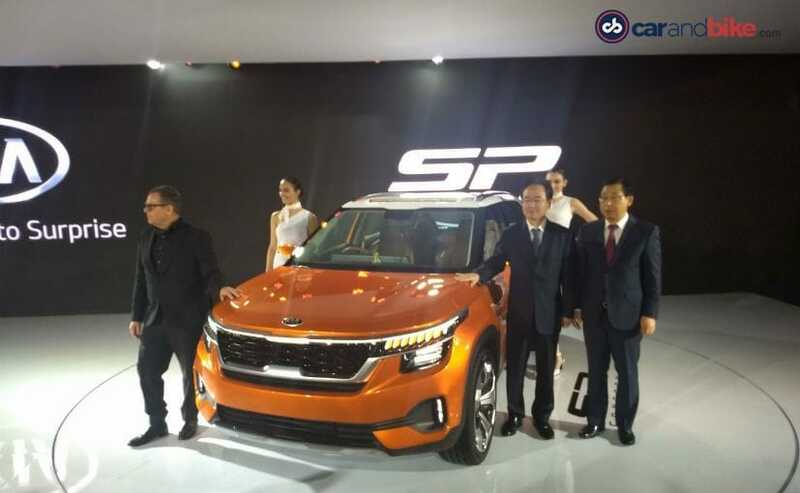 The Kia SP SUV concept will see a production version sometime next year when Kia Motors India officially starts production and sales of its cars in mid-2019. The SPConcept gets the Kia family grille that has been enhanced and made even more aggressive. The SP SUV concept also gets a set of new edgy headlamps that have two design elements - on top a slimmer edgier running light and a larger illumination element on the bottom - that is flanked by the grille. At the rear, the SP SUV concept is somewhat similar to the likes of the Creta and also takes inspiration from the Sportage SUV in terms of the tail light design. The SP SUV concept also features a two tone design that doesn't look forced on and looks like it was a part of the design process and given the fact that dual-tone is in-demand in the market, we expect Kia to make it available at the time of launch too. The SUV also features wide wheel arches with large wheels, a typically SUVesque skid plate design on the front and rear bumper. The cabin features a 5-seat set up and a fully digital instrument cluster, which is likely to remain untouched in the production model. Kia promises that most of the design elements will remain intact and there would be minor changes made.